Our thriving economy is one logical explanation of why people keep moving to Colorado. But really, how many people do we know who came here on vacation… to college… to visit friends and family… and got hopelessly hooked on the state? 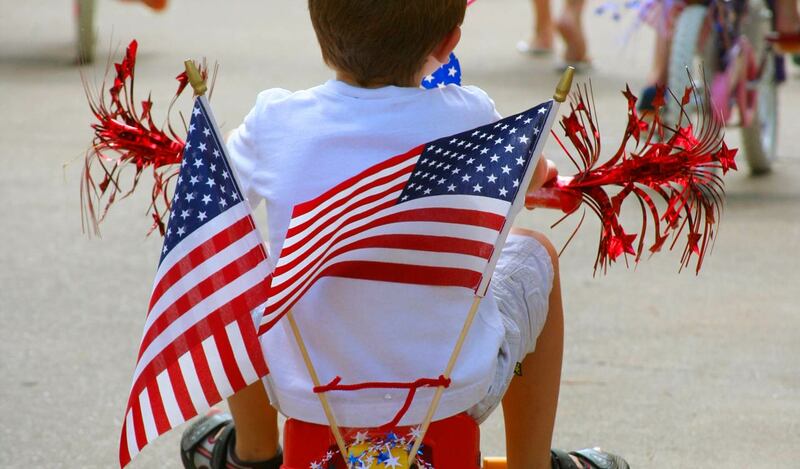 It’s the natural beauty—and the endlessly fun, associated activities—that just keeps ‘em coming, year after year. 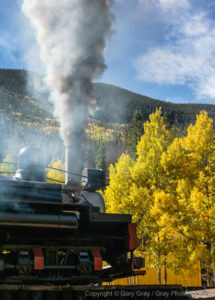 So as a welcome to all the newbies and a refresher course for you natives and long-timers, here’s a selection of “must-do” Colorado activities that capture the flavor of our state across the seasons. If you’ve already checked these ideas off your list, explore a more fine-grained rundown of ideas published in last month’s article in 5280 magazine. And be sure to share your bucket list with us on our Facebook page. 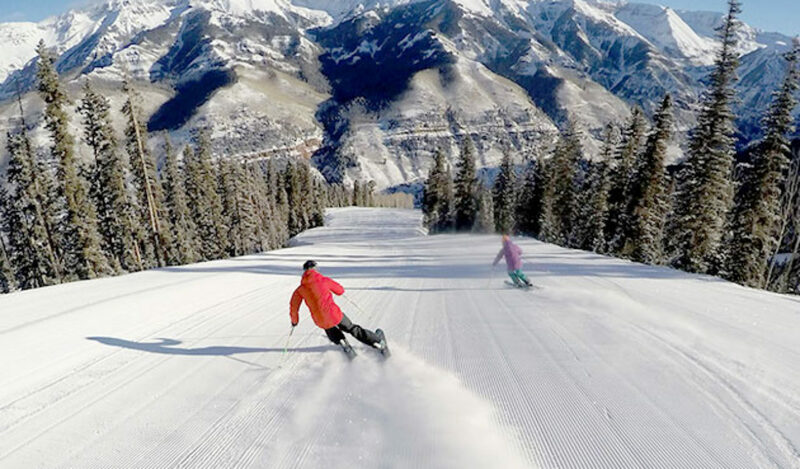 Ranked the best overall ski resort in the US by powderhounds.com, Telluride offers stellar skiing and snowboarding far from the maddening weekend pilgrimage on I-70. That’s the beauty and curse of Telluride, of course, as its southwest Colorado location makes it a bit of a hike from metro Denver. But the rewards, beyond the powder, are a unique town with an extra-laidback vibe, colorful mining history, and its awe-inspiring canyon setting with steep mountain vistas. Learn more. Jaw-dropping gorgeous and a wee bit harrowing, thanks to narrow lanes, hairpin turns and dramatic drop-offs, traversing Independence Pass is truly a Colorado rite of passage. Driving the road is a badge of honor all by itself, but biking can take your Colorado cred to a whole new level. Start at Aspen and end at Twin Lakes; and in between, log 37.6 miles and gain 4,187 feet—while taking in magnificent, jagged vistas thick with aspen and evergreen. Open only from Memorial Day to Labor Day, due to high altitude and winter road conditions. Check for road closures here. This destination is the perfect complement to your ski trip or summer vacation in Steamboat Springs, another must-see destination. Just outside of town, these hot springs clock in at about 104 degrees—a perfect contrast with the literally adjacent, frigid river. (One favorite diversion is to dip, courageously, from one to the other.) These mineral pools are of the more naturalistic type, with rocky, tree-filled surroundings, but there are private massage huts if you want to glam up the experience. Be warned: come evening, clothing is optional. Learn more. Let’s say you went skiing at Telluride and fell in love with that charming town. Be sure to go back in summer and explore its many warm-weather pleasures, including Bridal Veil Falls. With a 365-foot drop, these are the tallest free-falling falls in Colorado. It’s a 4.2 mile trek to the top of the falls with a gain of 1,650 feet, so let that inform your decision whether to hike, bike, or four-wheel drive up the road. Learn more. Rare is the hiker whose thighs will not jellify on this incline, the former site of a cable car ride. After a rockslide in 1990, the Manitou Incline was closed and locals started (illegally) hiking up the remaining ties for a lung-searing workout. 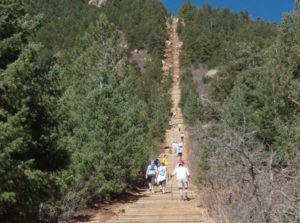 The incline was officially opened to the public in 2013 and is a popular, challenging hike of 2,741 steps—a one-mile ascent with an elevation gain of 2,000 feet. Good luck! Learn more. While Mesa Verde National Park is open to cross-country skiing and snowshoeing, warmer months are a better bet for fully enjoying this national treasure. This park was once the home of ancestral Pueblo people from 600-1300 A.D. who lived both on the mesa tops and in dwellings carved into the rock below. These cliff dwellings are some of the country’s best-preserved. While you’re there, you can explore a variety of cliff dwellings and learn about the Puebloans’ way of life from well-informed park rangers. Nearby camping is also available. Learn more. This one’s an idyllic way to spend an afternoon with everyone from kids to grandparents. Nose around Georgetown, with its charming historic buildings, and then hop a classic train on the Georgetown Loop Railroad, built in 1884. This three-mile, 1-1/2 hour loop takes you through the mountainous terrain between Georgetown and Silver Plume, another quaint mining town. Options include mine tours, dinner, wine and hors d’oeuvres, and “ales on rails.” Learn more.